Join us for the 33rd Annual Pomme de Terre Rendezvous on May 4-5, 2019 at Pomme de Terre Lake Outlet Park in Hermitage, Missouri. Experience life at a pre-1840s fur trade era mountain man rendezvous at the Pomme de Terre Rendezvous. The Pomme de Terre Rendezvous is family friendly, so bring everyone for the fun, food, live music, and pre-1840s mountain man competitions. The Pomme de Terre Rendezvous is held annually the first weekend in May. The Pomme de Terre Lake Outlet Park campground will be closed to public camping from Wednesday prior to that weekend through the Tuesday after. Prizes awarded for various camp contest. Vendors: Arts and Crafts vendor spaces available. Below the dam, 3 miles south of Hermitage. Also, check our Pomme de Terre Rendezvous Facebook page. The first Pomme de Terre Rendezvous was held in Hermitage in 1985. 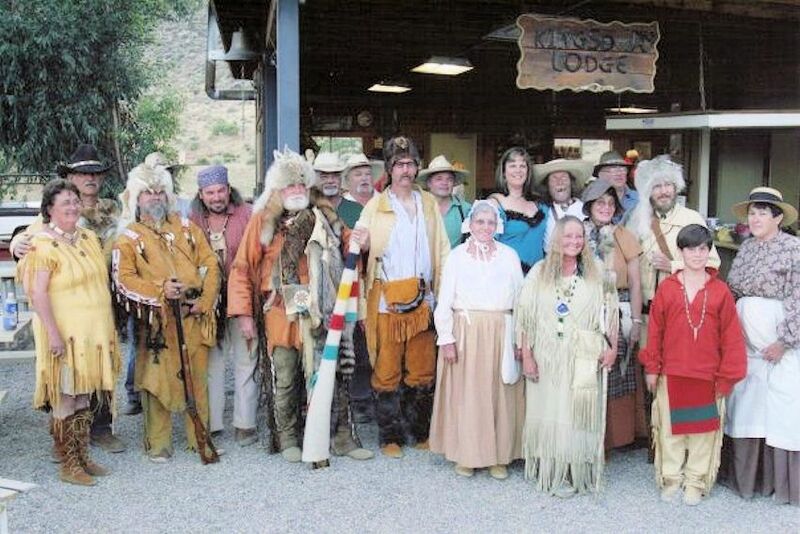 Far different from the original mountain men rendezvous, it was organized as a family event. 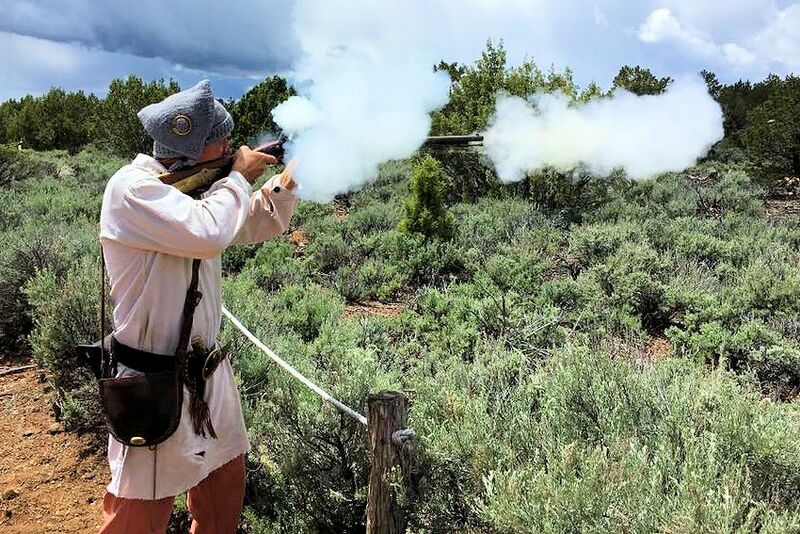 Then called the Black Powder Rendezvous, it was moderately successful, attracting about 500 people. It was moved to its present location in 1986 due to the need for additional space and to take advantage of the natural beauty of the site a well as the traditional significance of the river in the lives of early settlers. The first three rendezvous were sponsored and organized by the Hickory County Historical Society. During those years it grew tremendously, both in scope and popularity. Due to this rapid growth and its increasing complexity, a new organization, the Pomme de Terre Rendezvous Association was formed to sponsor the event. The Rendezvous Association, made up of local people and organizations interested in ensuring that area history is preserved. One way of doing so is through such annual events as the Pomme de Terre Rendezvous. In 2006, the Hermitage Lions Club assumed the overall sponsorship of the event that is organized and operated by the Rendezvous Committee. Mark your calendar today so you don’t miss the next Pomme de Terre Rendezvous at Lake Outlet Park in Carson’s Corner, Missouri.